For my last run before Hastings I had the pleasure of the company of my former work colleagues, who kindly allow me to run with them. I didn't set the Forerunner properly, so it was around 45 minutes and covered a route we know to be 4.5 miles, but that's all the data I have. Brendan McDonagh is running to raise funds for the Royal College of Veterinary Surgeons Trust. 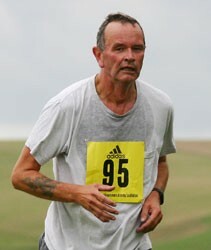 I've sponsored him to the tune of £10, with a promise that if he beats my time I'll double it. He has a fundraising page here for online donations. It being my last day in my job, I ran with Claire, Jana, Joanna and Steffi up into the woods above Stanmer Park. A cold but good run up through the woods above Stanmer Park. My running companion drew my attention to the Stanmer House website. The Forerunner didn't pick up a signal until about five minutes out so add that and 0.5 of a mile the figures below. I was honoured to have the company of BSMS colleagues Claire Brooks, Steffi Lanza and Carrie Llewelyn for my last lunchtime run while based at Falmer yesterday. In the new year I move to a two-month temporary post based at the Royal Sussex County Hospital, so there will still be opportunities for running, either along the sea-front or round Queen's Park. I ran a short distance today, over the same route that I ran when I first started again, a little over two years ago.